Rovers goals are priceless ....... and priced! 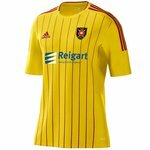 | Albion Rovers F.C. Rovers goals are priceless ....... and priced! Reading this article about football prices on the Hartlepool Mail website got me thinking and it's not pleasant. Rovers home goals have thus far (league games only) cost us £18.20 each based on paying adult admission at turnstile on matchday or £14 each for adult season ticket holders (not including early bird discount). Home league points are £30.33 each based on paying adult admission at turnstile on matchday or £23.33 each for adult season ticket holders (not including early bird discount).